The most wonderful thing happened to me yesterday! One of my dear friends and coworkers surprised me with a box of Ceylon Mixed Teas! Tea is one of my most very favorite things. Perhaps its my English ancestry but I find that nothing warms, comforts and heals quite like a cup of tea. Deciding which flavor to try first took some time but after mulling it over I decided to go for the green tea. I think its fitting. After all, Sunday is the first day of the week; a day for renewal, rest and reflection. What better way to cleanse the mind and body than with a cup of green tea? The beneficial effects of green tea have long been purported. I'm happy to see that they are starting to be taken seriously by the medical community. Green tea has been used for thousands of years by eastern Asian cultures to cure everything from headaches to heart problems. We know now that Green Tea is full of powerful antioxidants that scavenge free radicals in the body (unstable elements that destroy tissue) which could potentially help prevent a variety of ailments including heart disease, diabetes and dementia. Ito En is a Japanese Tea Company renown for their exceptional quality of products. They have an excellent website detailing some of the history, health benefits and varieties of tea. Check it out! 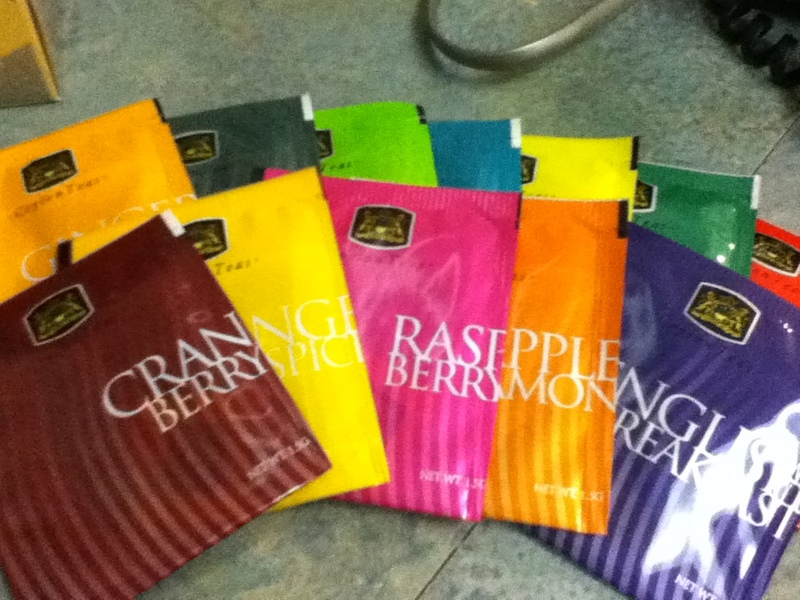 One of the other great tea flavors in this pack was peppermint. I just started drinking peppermint tea but I think it's fair to say I'm hooked! The wonderful thing about peppermint tea is that it is very cleansing to the palette. I suggest serving it at a dinner party, between the main course and dessert. It would be such a unique way to transition your guests from one dish to the other. The reason it works so well is that peppermint has been used traditionally as a digestive aid. It speeds up stomach emptying and improves the flow of bile, which help digest fats. It would be easy to sit here and talk about tea all day. I'm sure there are entire blogs out there devoted to tea. But I think, its better the learn by doing. So if you get a chance, start buying some different kinds of tea and give them a try. Nothing teaches like experience!